PLEASE UPDATE YOUR BLOG ROLLS AND READERS! THIS SITE HAS MOVED TO HTTP://MARFMOM.COM! Thank you so much for reading, and I hope to see you over at the new, self-hosted, site! Marybeth, aka MammaPie, writes Downside Up and Outside In. In the post About Seeing Color, Marybeth discusses White Privelege and that phrase “I don’t see color.” That phrase grinds on my nerves because unless you’re blind, you see color. Pretending otherwise, refusing to acknowledge that we come in many colors, is just disrespectful. 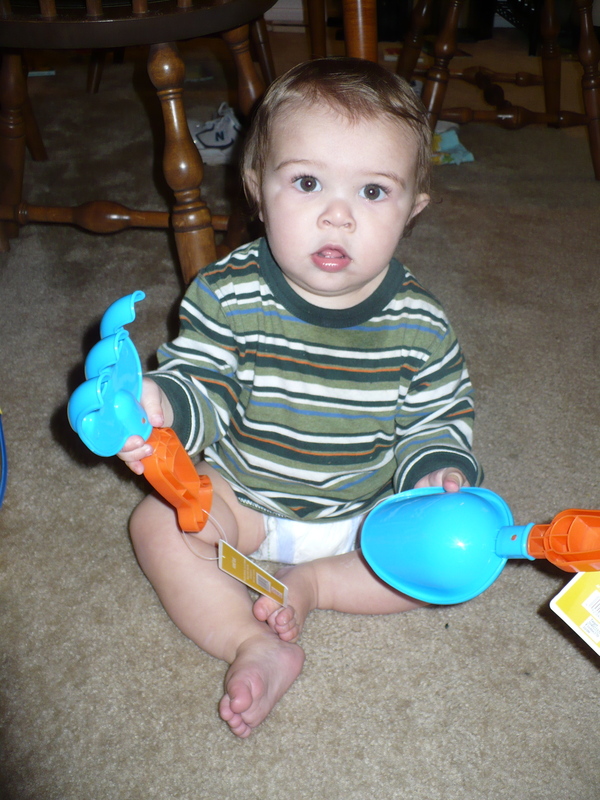 Monica at Healthy Green Moms writes about her thoughts on “living a healthy and simple life.” The Inconvenient Truth About Raising Kids talks about the real questions we have to ask ourselves as parents and examines how our past impacts our parenting. I just love Amber Strocel‘s blog! Her posts are always reasoned and well-written. In Making Hospital Birth Better, Amber examines the polarization of birth options and if there are ways to make hospital births more comfortable. I really appreciated her thoughts, as I had the most medical delivery possible for Menininho: a planned c-section under general anesthesia. I honestly believe that a c-section was the best option for us, but too many women are led into births they don’t feel comfortable with, and we don’t address those issues well. Too often it becomes “all epidurals/c-sections are bad” or “you’re crazy if you choose a home birth.” I found many of the comments on this post to be insightful as well. As my regular readers know, most Thursdays I participate in Mama Kat’s Writers’ Workshop. I came across the blog Peanut Butter in My Hair from that meme today. The author wrote a beautiful post entitled The Heart That Never Quits, about the love of mothers. Simple and moving. I will have linking available next week. Apparently WordPress.com isn’t allowing me to use inlinkz. I have purchased my own domain name and will be moving the blog there this weekend. Stay tuned for more information!!! And as always, thanks for reading! I have a few different homes. I have the home I live in with my husband and our son and cat. I have my extended family home. The group of girls I grew up with. The congregation I attended from age 11 until I got married at 22. A group of my Alpha Phi Omega (co-ed) fraternity brothers. The home I’m going to write about, however, is the one I ached for before I even knew it existed: my Marfan home, otherwise known as conference. All teenagers, on some level, want to be accepted. It’s a time that we simultaneously scream, “I am my own person!” and “Love me, I’m one of you!” So, being a teenager is difficult enough without adding in a chronic illness that affects both your appearance and physical abilities. As I entered into those tumultuous years, I yearned for the company of other people like me. While some may disagree with me, I don’t believe that an “unaffected” parent or friend, no matter how attentive they are, can really, truly understand life with Marfan. I had great friends and my parents tried to help me sort out this new, different life, but it wasn’t enough. Attending conference was life changing because for the first time in my life I was completely and utterly accepted. In some ways it was more Home to me than anywhere else I’ve been. That feeling got me through a lot of hard times. We were pretty hot back then! Now that I’m one of the people in charge of the teen program at conference, that feeling of home is first and foremost in my mind. I want each and every teen to know that they are that they are amongst family and that they are safe. They are Home. This is one subject where I don’t think words can adequately describe the emotions associated. My Marfamily is almost sacred to me. So, I’m reposting this video I made of conference. Enjoy. And to any of my readers who have Marfan or are parents of a child/teen with Marfan: Come. If you’ve ever felt that ache for the “safe place where we can go as we are and not be questioned,” come. You’ll find the home you maybe didn’t quite realize you were missing. Well, the votes are in. They came from the blog, from Twitter, from Facebook, and emails. The Situation it is (by far). 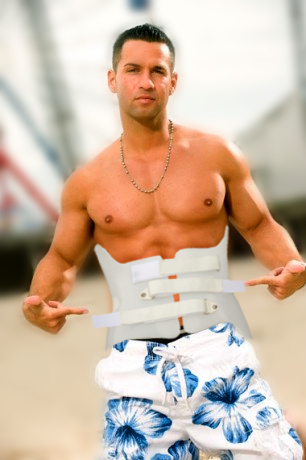 I think he rocks it, don’t you? 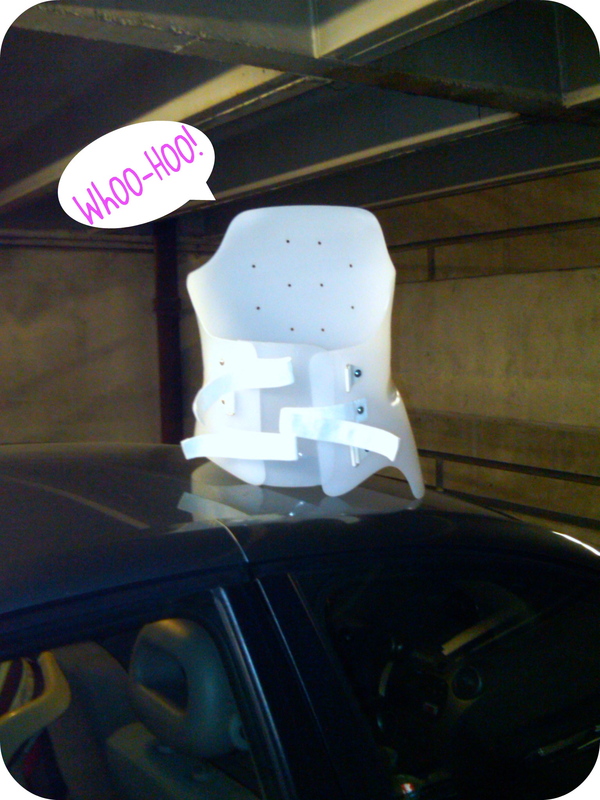 And no, I was not responsible for this awesome picture. Credit goes to April, aka Kethaera. Check out her artwork! She’s awesome. 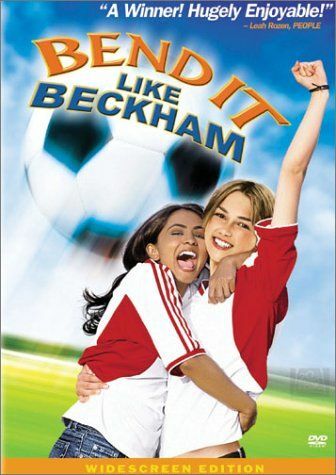 Honorable mention for a brace name goes to Kristi, aka Tweeting Mama, who suggested Beckham (as in David), with inspiration from the movie Bend it Like Beckham (which, incidentally, stars one of my favorite actresses, Parminder Nagra). While I can’t bend while in the brace, he is bending my back into a straight shape (with any luck!). Enjoy this picture of The Situation car surfing in Berkley. Don’t forget to enter the Have a Heart giveaway!!! Since having Menininho, Valentine’s Day has become much less of a big deal in our house. Pre-baby, we’d get dressed up and go out for an Italian meal (and for Brasilian food on our anniversary, to celebrate our heritages). This year, we decided last minute on Saturday to try Applebee’s, where I had a very disappointing pasta dish and Mark ended up with some cheese dip appetizer because that was the only thing he could be confident was gluten-free. Aaaanyway, the point of this post is not to talk about the flies that accompanied our meal (talk about nasty! ), but to tell you about a family tradition: the Valentine Man. As far back as I can remember, each Valentine’s Day I received a small gift from the mysterious Valentine Man. When I was little it was a My Little Pony. As I got older, it might be a CD or a box of my favorite donuts. The gifts were never costly, and I appreciated that it was my dad’s way of letting us know he loved us, when his illness often kept him from being able to express that. The Valentine Man is a tradition that Mark and I want to pass on to our kids. We went through Target tonight, looking for after-Valentine’s deals because, let’s be honest, it’s not like the baby knows/cares, but next year we’ll be more organized about it and do a card and everything. For now, though, Menininho is enjoying the toys he can take to the playground sandbox when the weather warms up in a few weeks. Do you have any Valentine’s traditions? And, have you entered the Have a Heart giveaway? Those of you in the Marfan community have probably heard about the losartan vs. atenolol trial, but since it’s Have a Heart Month I wanted to talk a little bit about it and give space for a trial participant to discuss it as well. Background: Atenolol is a beta-blocker, and right now beta-blockers are the standard of care for Marfan patients medication-wise. As of now, there is no way to stop the aorta from growing, but researchers have found that decreasing the body’s blood pressure tends to help slow down the aortic growth. Beta-blockers like atenolol lower the blood pressure, which is why they’re used. However, there has never been a wide-scale, double blind trial done to prove that beta-blockers are, in fact, an effective option. Without getting too technical, several years ago Dr. Hal Dietz from Johns Hopkins created mice with Marfan syndrome and tested the drug losartan (cozaar) on them. Losartan is a blood pressure medication (an angiotension receptor blockers) that has been on the market for a long time. Dietz realized that it affected a protein called TGF-B, which is over-expressed in Marfan (leading to the overgrowth of several structures in our bodies, like our bones). Dietz theorized that using losartan to curb the expression of TGF-B might prevent various complications from Marfan, especially the overgrowth of the aorta. In 2006, Dr. Dietz unveiled the results of his mice trials at the National Marfan Foundation conference in Philadelphia. Losartan had kept the aortas at a normal size! It was now time to test the drug on humans, to see if it would produce the same results. –	Be willing and able to travel 5 times over 3 years to the study site for all study echocardiograms and examinations. Financial assistance IS available to go to ANY trial site you want (not just the one closest to you). Go here for more information about the trial. You can also contact Jennifer Buffone at the NMF at jbuffone at marfan dot org. Kari’s Story: Kari is a fellow NMF volunteer. Her daughter, Haley, has Marfan and is preparing to finish up with her time in the trial. I asked Kari to write a bit about their family’s experience. After a great deal of soul searching, we decided to enroll Haley in the Losartan/Atenolol clinical trial three years ago. While we were tempted to go to her local cardiologist and ask him to place our daughter on Losartan, we felt it was important to learn how well the drug works and whether it has troubling side affects first. We agreed that the clinical trial was the best way to determine whether or not this was another effective treatment for those with Marfan syndrome. We felt comfortable enrolling Haley in the trial when we discovered how thoroughly the patients would be monitored throughout the study. Everyone from the lab and imaging techs, to the clinic coordinator and cardiologist, truly cares about the well being of our daughter. 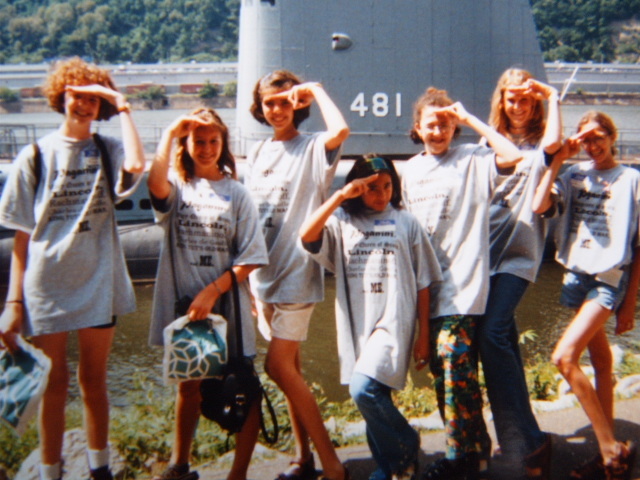 You would never guess that Haley isn’t one of their regular Marfan patients. She is treated as a person, not a number, with professionalism and compassion. In addiiton, the staff always takes the time to answer our questions, address our concerns, and promptly answer our e-mails. We also are impressed with how welcome and comfortable they make Haley feel at each and every appointment. She enjoys our trips to the Marfan clinic and I know she’ll miss seeing her other “Marfan doctor” after her final appointment this June. Our family is so grateful for all of the incredible research that has transpired since Haley’s diagnosis. The promising research of Losartan and its affect on Marfan mice has brought a renewed sense of hope to the Marfan community. This clinical trial will help us determine whether or not this hope should indeed become a reality. PLEASE, if you or your child is eligible, consider enrolling in the trial. Your participation can help change the future for Marfs all over the world. Also, don’t forget to enter the Have a Heart Month giveaway. February is Have a Heart Month, to raise awareness for Marfan syndrome. 1 in 5,000 people have Marfan or a related disorder, but only about HALF of those know they have it. Since, with proper treatment, people with Marfan can live to a normal life expectancy, it’s imperative to get the word out about Marfan and its symptoms. I’m excited to be able to host a giveaway in honor of Have a Heart Month! Larie Beck is a mother to a child with Marfan syndrome and we met several years ago via an online chat. Besides being a homeschooling mother to two and an active NMF volunteer, Larie makes beautiful jewelry! 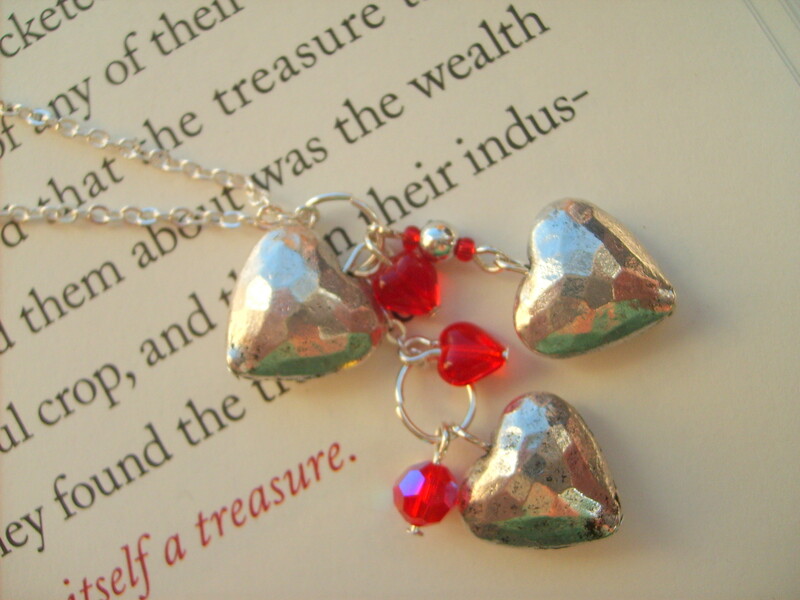 Larie has created the Have Heart necklace specifically for this giveaway. 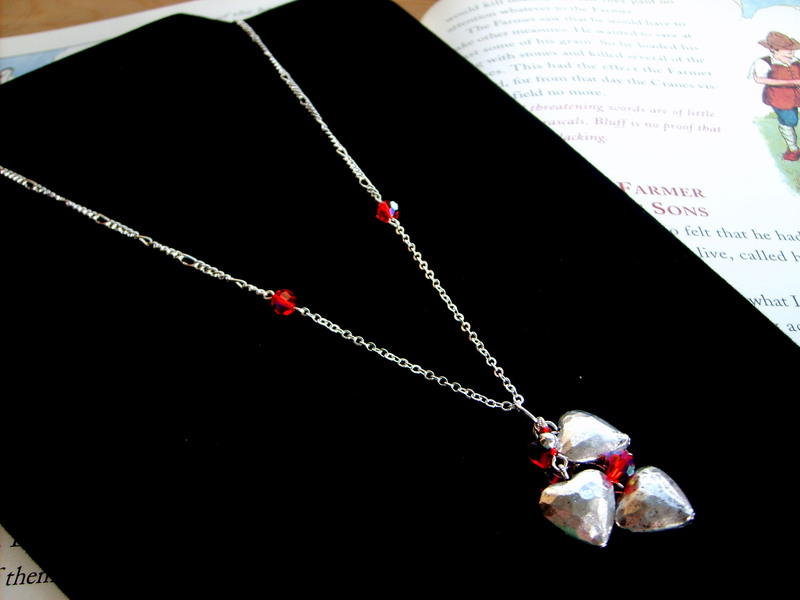 This one of a kind necklace features 3 hammered, silver hearts dangling from a silver chain. It is accented with fire polished, red crystal beads, red glass heart and seed beads. It measures 11.5 inches from the clasp to the tip of the dangling hearts and is finished off with a magnetic clasp. (length can be shortened before shipping if the winner requests). There are 3 ways to enter this giveaway, which is available to US residents and runs through Feb. 21st. 1) Visit Larie’s Etsy shop and comment with one other item that you love. 2) Visit the National Marfan Foundation’s website and comment with one thing you learned about Marfan. 3) Tweet about this giveaway (just once) and leave me a link to your tweet. You MUST leave a separate comment for each entry. The giveaway ends at 11 pm PST on Sun. Feb. 21st. A winner will be selected using a random number generator. Make sure you leave a valid email address so I can contact you. The winner will have 48 hours to respond, at which point I will choose a new winner. Also, Larie is donating a portion of the proceeds (up to 100% for some pieces!) for each heart piece sold during the month of Feb. to the NMF. Questions? Comments? Interested in sponsoring a giveaway? Email me at marfmom@gmail.com.